As already announced, I am working on a little vanilla bean recipe series. I think the vanilla bean definitely deserves this. After making this super quick and easy Homemade Vanilla Bean Pudding last week, I cannot wait to share these seriously addictive, lip-smacking Vanilla Bean Cake Truffles with you. 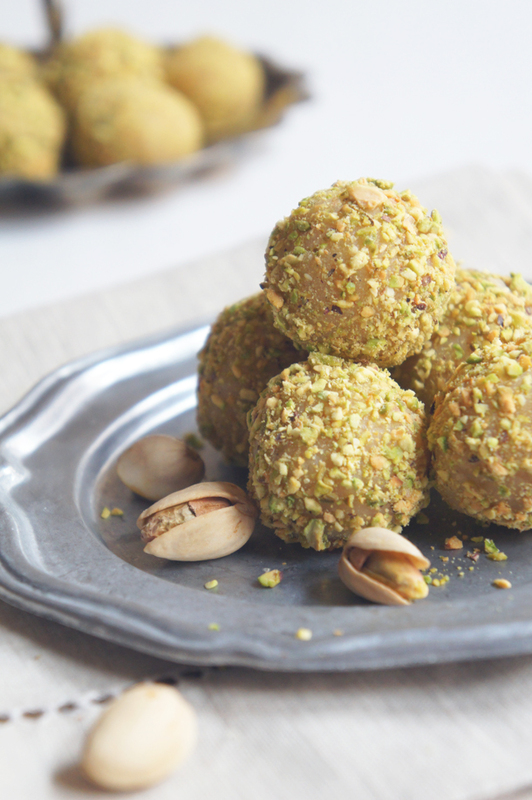 Super moist and dense vanilla bean cake balls with a hint of white chocolate, surrounded by toasted crunchy pistachios. They will make you want more. And more. And more. I ate 6 truffles right away before they were even completely set. Six! All at once cause they were so incredibly delicious and SO addictive.